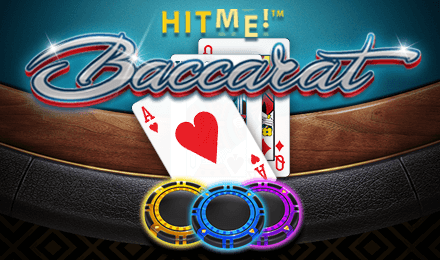 Baccarat is a classic casino game often found in land based casinos, but ever since the evolution of online casinos, you get to play online versions of Baccarat and even live versions! Eyecon has come back to the dealing table with their newest release of Hit Me! Baccarat that obviously comes with a hot twist! Start playing Hit Me! Baccarat by clicking on the chips to select your stake. Click, then drag your chips to the position you would like your chips to be at on the table. You can select another chip amount by clicking on the “X” button. “Clear All” allows you to clear all the bets you have placed. The Autoplay option also allows you to play the game without having to intervene. Amount of Paylines Selection: None available. Coin Values: Chip values are set at £1, £2, £5, £10 and £25.